Let's Trick or Treat 12 1/2in x 17 1/2in. 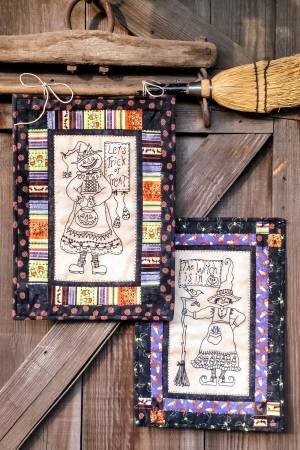 A Pair of Wicked Witch Wall Hangings or Table Toppers to enliven your Halloweenie Celebrations. Fun Black Work Witches sparked with colorful Halloweenie Cottons!